Unlike the world 100, or even 50 years ago, noise levels in modern cities continues to rise. Cities are crowded, and traffic keeps increasing. You and your family are constantly exposed to dangerous levels of noise from crowded city streets, noisy school hallways, and loud construction sites. It’s become impossible to escape the noise, whether at home or at work. Noise is all around us, from the traffic on your commute to work, to the office chatter, to your very own backyard. Noise pollution is defined as an excessive amount of noise or unpleasant sounds that disturb the normal balance of sounds around you, causing annoyance or discomfort. 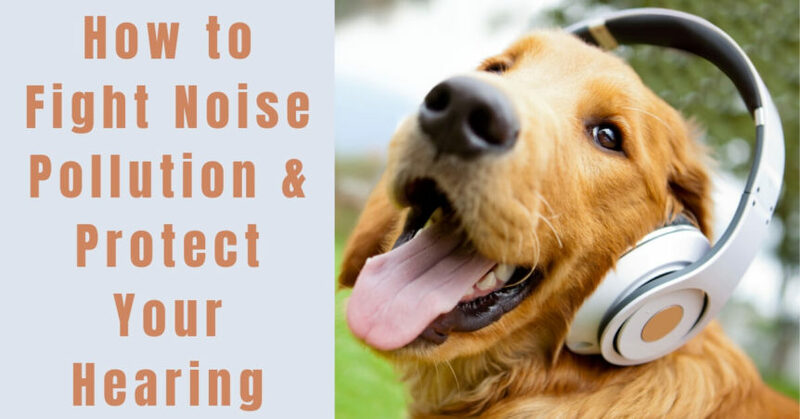 Noise pollution is permeating our cities and workplaces, and even things like our home appliances, with their beeps, hums, or even whirring sounds are loud enough to add to the noise pollution around you, or lead to noise induced hearing loss. A 2014 study found that tens of millions of Americans struggle with the negative side effects of noise exposure, such as increased anxiety and stress, heart problems, hearing loss, insomnia, and even dementia. The World Health Organization (WHO) has called noise pollution a major threat than can cause “sleep disturbance, cardiovascular effects, poorer work and school performance, hearing impairment.” Noise pollution can be impacting your productivity at work, or making it difficult for your children to learn. In order to combat noise pollution, the WHO recommends that noise levels need to be lowered significantly to protect hearing, and to make sure you and your family can sleep peacefully at night. Many of us choose to deal with the strain of noise pollution by using our personal listening devices to block out sounds, drowning out background noise with our favorite tunes or podcasts. Our teenagers and children do the same, and we all use music to relieve boredom on the way to work, pump us up at the gym, stay focused at the office, or relax before bed. Unfortunately, many of us use unsafe listening practices, and having your earbuds in your ears all the time could actually be causing a lot of damage to your hearing. Many people turn up the volume on their personal listening devices to combat all the loud sounds around them, blasting music into their ears at dangerously high volumes. We also often wear headphones or earbuds for prolonged periods of time, increasing our risk of doing damage to our hearing. Children and teens are particularly at risk, because they spend far longer listening with earbuds, aren’t aware of the risks, and have more delicate ears that are even more easily damaged. One way to protect your hearing from noise pollution is to invest in noise cancelling headphones, so you can listen to your music at safe volumes, without hearing all the background sounds around you. These headphones emit an anti-noise signal that masks the background noise, so you won’t notice the sounds around you, and can listen to your music at normal volumes. If you’re worried about noise pollution, take a close look at your listening practices. It’s recommended that you follow the 60/60 rule. Never turn the volume up higher than 60% of the maximum volume, and take a break from your music every 60 minutes. Find a few times every day where you can enjoy the silence, whether it’s during your morning cup of coffee, or finding a quiet place to spend your afternoon break, and avoid listening to music during this time. It’s also a good idea to avoid headphones or earbuds when you’re doing something that requires your full attention in order to keep you safe. If you’re driving, biking, or even going for a jog in your neighborhood, consider leaving the headphones at home, and focus on the task at hand to keep yourself and everyone around you safe. If you’ve noticed any changes to your hearing, or are struggling to follow conversations, call us today at Neighborhood Hearing Aid Center to book a hearing test. We’ll work together to discover your unique hearing loss and hearing needs, and find the perfect devices that will help you hear in every listening environment.